This is a Native American Liturgy. A Mass booklet with responses in Mohawk phonetics and English will be available to the congregation so everyone can participate. A Feast/Reception which is an extension of our Mass follows in the church basement dining facility. There is no charge for this Feast. 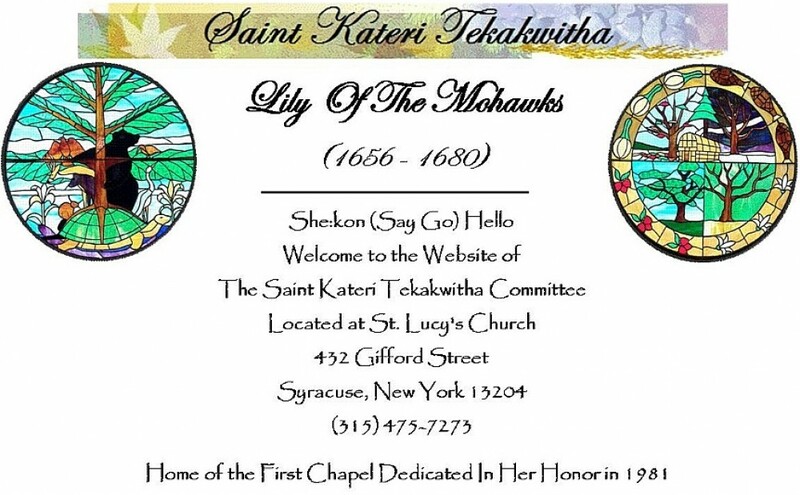 Our committee is blessed with a 1st Class Relic of St. Kateri Tekekwitha. This Relic will be made available after the Mass for anyone seeking intercessions through the Relic. The Committee will be sharing the Sacred Smoke Blessing that consists of a pleasant smelling cleansing smoke (in minimal amounts) from a mixture of Sweetgrass, Sage and Cedar that is fanned with feathers to carry our prayers to the Creator. We will also be sharing the Sacred Pipe Blessing/Prayer of the Six Directions. We hope you can join us for this very special Memorial Mass and Feast in honor of St. Kateri Tekakwitha. S. Toby C. Whyland – Rich, Silhouettes Music Studio’s™ & Silhouettes Co™, are trademarks of Silhouettes Inc™. Copyright © 2018 Silhouettes Music Studios™, A Spectrum™ Entertainment Company with Corporate Offices located in Fleming & Syracuse, NY. All rights reserved. 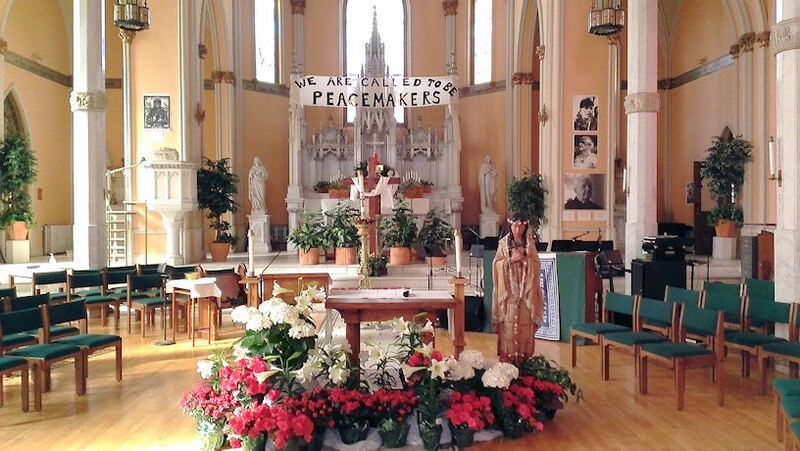 Devised Specifically for and with the permission of The St. Kateri Tekakwitha Committee of St. Lucy’s Church, Syracuse, New York. None of the information contained herein may be copied or redistributed without the sole consent of the site owner. Any reproduction thereof shall be deemed as theft under Copyright laws, and is punishable by fine and/or imprisonment. Any information contained herein is considered public property obtained by the author for public use and display. If any of this content infringes upon your Copyrights, or you would deem that it belongs to you alone, then please notify the author immediately, and such information shall be removed. This is a public domain site bearing a watermark signature. This site is for informative purposes. No charges at anytime shall be required for viewing this site on any public domain.